The Ministry of Defence has signed a £271M deal with Leonardo Helicopters to continue to support world-leading Wildcat helicopters, protecting hundreds of highly-skilled British jobs. 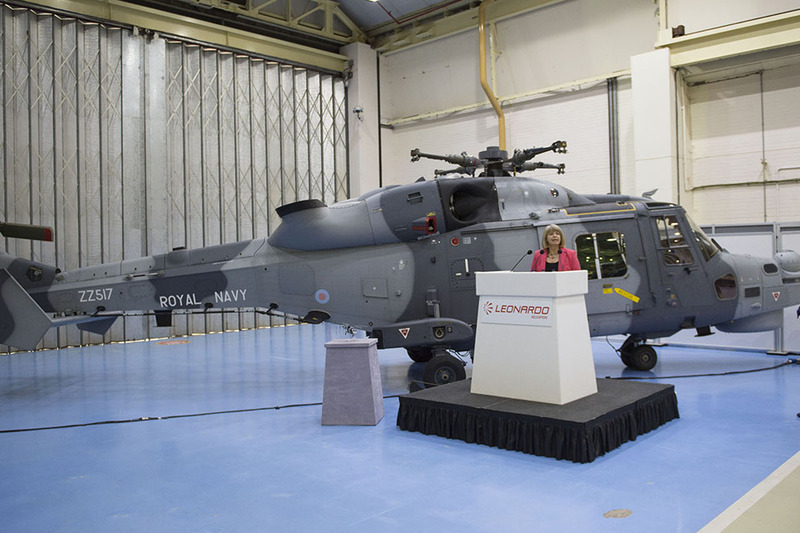 The overwhelming majority (over eighty per cent) of the c. 500 jobs sustained will be at Leonardo’s facilities in Yeovil and Royal Naval Air Station Yeovilton, the home of Wildcat training and maintenance in the UK. A further hundred jobs will be maintained in Leonardo’s supply chain. 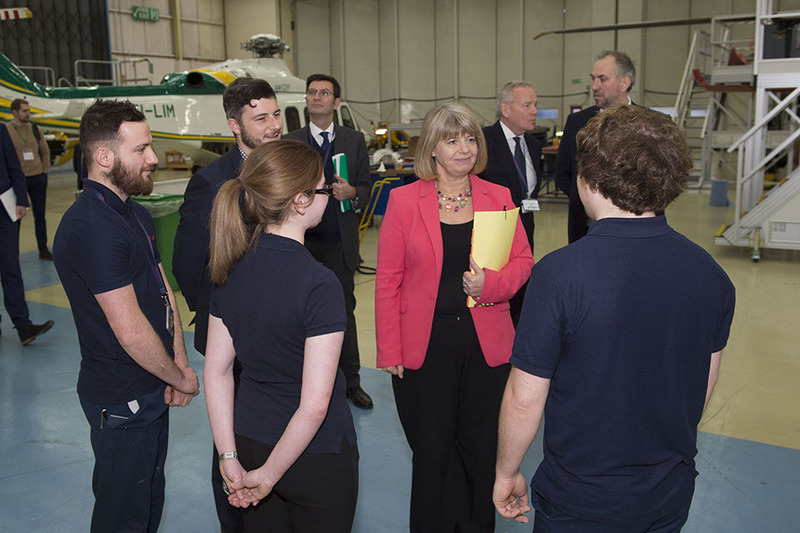 Minister for Defence Procurement visits Leonardo Helicopters. Copyright MOD. This agreement builds on many decades of joint working between the MOD and Leonardo helicopters, recently recognised through the signature of a Strategic Partnering Arrangement with the company. The deal for Wildcat support has been designed to guarantee value for money for the taxpayer by delivering the required levels of operational output at a reduced cost. Wildcat is a world-leading aircraft perfectly suited to operations on board the Royal Navy’s front line warships such as the Type 23 Frigate, Type 45 Destroyer and Type 26 Global Combat Ship and in delivering the British Army’s airborne battlefield tasks, such as reconnaissance, command and control and force protection. Advanced design and capabilities will enable it to support the Royal Navy and British Army for decades to come. The WIST deal, which confirms the terms for the next five-year period of the 30-year contract signed in 2012, supports the objectives of the Strategic Partnering Arrangement signed between Leonardo Helicopters and the MOD in 2016. This agreement lays out shared commitments to cost effectiveness and the pursuit of export opportunities.